Duke addresses health equity through clinical service, research, education, and community engagement. 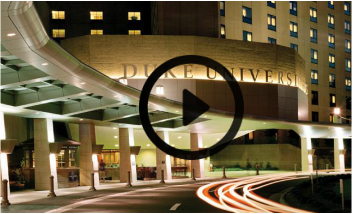 To facilitate and coordinate these efforts, the Duke Center for Community and Population Health Improvement, a multi-disciplinary center, was formed. The Center leverages academic, health system, and multi-sector community partnerships to improve community and population health. The Center conducts research and pragmatic programs to understand and address key biomedical, behavioral, and contextual health determinants to improve community and population health and well-being. Improving health equity and eliminating disparities in health are a major focus of Center activities. In 2014, Durham received the Culture of Health Prize from the Robert Wood Johnson Foundation, which honors and elevates U.S. communities that are making great strides in their journey toward better health.